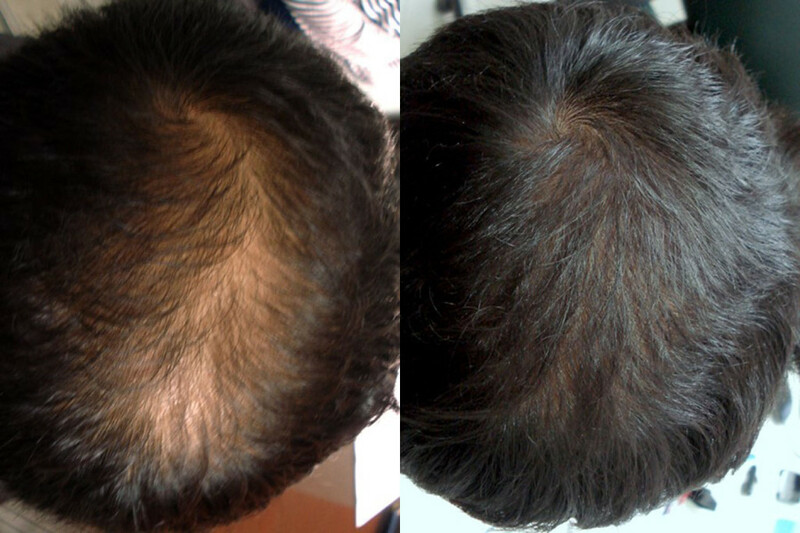 Male pattern baldness and different other types of hair fall are common problems in men. Some of them face it as genetic or some of them are due to stress and other problems. Looking for hair growth products for men for regrowth of hair or to grow their hair better and naturally is important. Using certain types of natural oil/herbal oil, shampoo and conditioners are helpful in making your hair treatment for men effective and successful. Androgenetic alopecia is the most common type of male hair loss. Humans produce an enzyme known as Type II alpha reductase, which induces a chemical change in testosterone, turning it into DHT. Testosterone is a type of androgen hormone. DHT binds easily to hair follicles, shrinking the follicles, resulting in a shorter hair life span and abnormal hair growth. The thinning and or balding process starts after. Male hair loss is more common since male bodies produce a higher amount of testosterone. More than 90% of male hair loss is associated with thin hair around the crown of the head, as well as the front of scalp. Sometimes the thin hair in the front of the scalp is accompanied with a receding hairline. Hair loss is noticeable in your middle ages, although some males in their twenties can be affected. Men lose approximately 100 strands of hair a day, due to naturally shedding, and are replaced within the normal hair growth cycle. Hair loss tends to occur when men lose over 100 strands of hair a day or when lost hairs just simply do not growth back. The most common types of hair loss for men includes a receding hair line at the temple and front of scalp, balding on the top back of scalp, and diffuse thinning (thinning of hair without change to hair line). Although general hair loss follows these trends, every person has their own unique patterns and combinations. 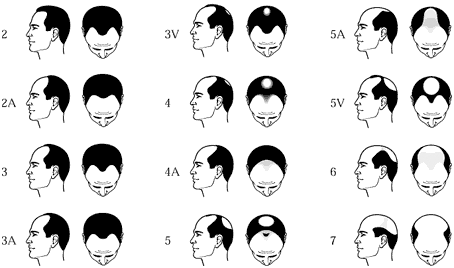 The chart below can you further understand the type of hair loss you suffer from. Physical Stress: medical surgery, serious illness, rapid weight change, etc. Medications: excessive doses of vitamin A, hypertension medications, etc.Healthy hair growth can be achieved by reversing the above causes. Hair growth products for men are helpful in making your hair roots stronger and keeping hair fall away from your worries. Saini Herbal Scalp & Hair Conditioner is sure to make your hair loss treatment for men successful.